Michelle Kemp had a hard time finding a bed in a mental health facility for her daughter Sofi when the girl was suicidal. She ended up taking her to Greeley in the middle of the night to get care. Kemp drove nearly 1,000 miles back and forth to the hospital in a week. Jeff Venable, 35, is on the board and volunteers with the Depression and Bipolar Support Alliance of Colorado Springs. A large selection of books are available at the alliance’s office. For her 14th birthday, Kohana Hooper, middle right, was treated to a pedicure by her mother, Cassandra Walton, middle left. The two take a selfie at Helen’s Nails while Kohana’s grandmother, Shirley Dollesin, right, and her little sister, Taylor Walton, far left, also get pedicures. A message about self-love serves as Cait Pfeifer’s computer screen saver. Pfeifer has had a tough journey in navigating the mental health options in Colorado. Diagnosed with bipolar disorder and PTSD, she ended up in a shelter and eventually was homeless for a time. Times have gotten better for Pfeifer, who shares an apartment with her husband and two dogs. Daleth McCoy and her daughter, Emma, 11, pet their dog Freya on the couch at their home in Fountain. Emma was diagnosed with autism as a toddler and, at age 8, began experiencing episodes of extreme depression and suicidal ideation. Grim reminders of days gone by can be seen in the Colorado Mental Health Institute at Pueblo’s museum. The state hospital in Pueblo used to house more than 6,100 patients in 1961 but housed fewer than 500 people by 2008. Above, museum director Nell Mitchell hangs a straitjacket back on a peg last month at the museum. Lori Jarvis-Steinwert is executive director of the local National Alliance on Mental Illness chapter. The organization, known as NAMI, provides support groups for those with mental illness as well as for their family members. Cait Pfeifer has had a tough journey in navigating the mental health options in Colorado. Diagnosed with bipolar disorder and PTSD, Pfeifer ended up in a shelter and eventually was homeless for a time. Times have gotten better for Pfeifer. She has an apartment which she shares with her husband and two dogs. 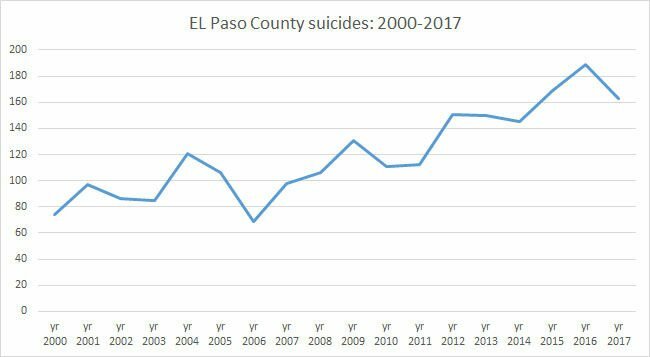 • Hospital emergency rooms have become the primary first stop for mental health crises in Colorado, in large part due to a lack of accessible providers. Across the state, mental health crises resulted in more than 112,000 emergency room visits and 11,600 inpatient hospital stays over a recent 12-month span, the Colorado Hospital Association reported. 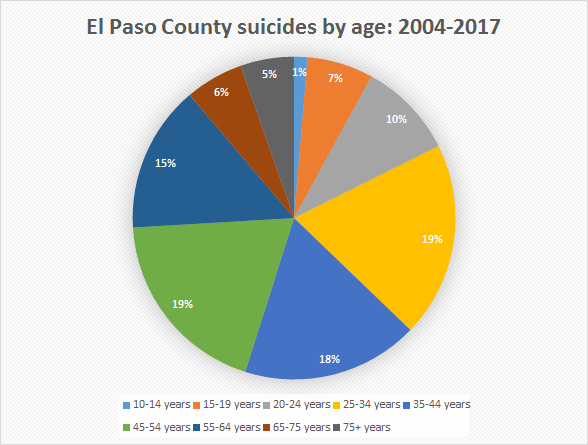 • Pikes Peak region children who require inpatient mental health care are routinely sent hours away to clinics elsewhere in the state because there aren’t enough open psychiatric beds locally to meet their needs. What’s more, Colorado children are routinely transferred by expensive ambulance or airplane trips to institutions in other states because of a lack of in-state beds, according to Children’s Hospital Colorado. 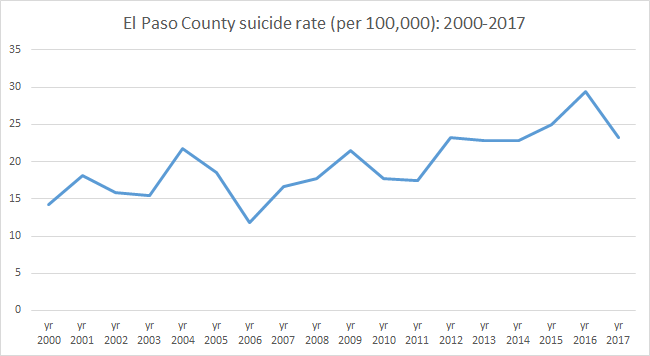 • Many people simply can’t pay for mental health care, and a decade of attempts by state and national lawmakers to make that care more affordable and accessible still precludes thousands. • More often than not, the destination for those who fall through the wide cracks is the criminal justice system. More than one-third of all prison inmates have moderate to critical mental health needs — a far higher rate than that of society as a whole. The Gazette is committed to expanding coverage of mental health care in the Pikes Peak region and across Colorado. But to do that, we need to hear your experiences about seeking care and navigating the system. Email your story to mental health@gazette.com, or call 719-636-0279. Called parity laws, they are meant to ensure that behavioral health benefits are covered at the same level as physical benefits. But protections still aren't mandatory for Medicare or half of all employer-based plans — specifically, plans offered by large companies that insure themselves. And the issue is especially pressing for substance abuse coverage. Hindman of the state's Health Department said Colorado and states across the nation can do a better job of addressing mental health concerns when they first start. So often, people are proactive about their weight, heart disease and diabetes, exercising more, reducing their cholesterol intake and limiting sugary foods. But that same preventative mindset has yet to become mainstream for addressing mental health concerns. — Data journalist Burt Hubbard contributed to this project.